Tanzania: Pastor beheaded as Muslims demand the total Islamisation of the meat industry. In Religious Liberty Prayer Bulletin (RLPB) 198, reference is made to the 11 February beheading of a Protestant pastor in Geita, in north-west Tanzania. This posting examines the context of that killing. The 11 February 2013 beheading in Geita, of Pastor Mathayo Kachili of the Tanzania Assemblies of God Church (TAG) has its source in a debate presently raging in Tanzania. Apparently it is a "long-standing tradition" in Tanzania that Muslims have a monopoly on the meat industry. Recently however, Christians in Geita district, Mwanza region -- on the southern shores of Lake Victoria -- have entered the butchery trade, causing outrage amongst Muslims. Tensions escalated over several months until, in early February, the Minister of State in the President's Office responsible for social relations, planning coordination, Mr Stephen Wassira, travelled to Mwanza to meet with Christian and Muslim leaders in an effort to defuse tensions. According to The Citizen (7 Feb), Mr Stephen Wassira categorically directed that the task of slaughtering animals for public consumption should be executed only by Muslims. He said that people of other faiths may slaughter animals if the meat is solely for family/private consumption – but certainly not for sale to, or consumption by, the general public. Mr Wassira declared that, should non-Muslims want to go into the meat business, then the slaughtering must be done according to Islamic tenets and rituals. "In effect," writes Karl Lyimo of the Citizen, "the minister has barred non-Muslims from the meat business – unless and until they are ready, willing, able and glad to follow the Islamic rituals to the letter." Lyimo continues: "Reportedly, religious leaders of the Christian faith were barred by the regional government from making a public statement on the matter for fear of agitating their followers against the 'Wassira Proclamation'. In the event, priests have called upon their followers to 'retaliate' by boycotting 'Muslim-oriented' butcheries – and are planning to seek judicial intervention via the courts system." See: Does religion have a role in trade, politics? On 11 February, Muslim fury over the Christian boycott of 'Muslim-oriented' butcheries along with the Christian leaders' threat to have the discrimination addressed through the courts erupted into a full-blown pogrom. A spokesperson for the Geita Regional Police Commander's Office, Mr Denis Stephano, reports that a group of youths believed to be Muslims assaulted several Christians using sticks and machetes and attacked a butchery owner at Buseresere town. During the confrontations pastor Kachili was beheaded. Several others were injured, some critically, and were admitted to Buseresere hospital to receive treatment. Butchers languishing under the boycott are pleading with Christian leaders to just stop rocking the boat! One butcher laments that people are now asking who has killed the meat! "This is a foolish question," he said. "Where is this country heading?" With Islam growing in confidence on account of decades of quiet radicalisation (see RLPB 182) and Christians feeling offended at the prospect being forced to eat halal meat while being discriminated against in the market place, Tanzania may well be heading for trouble. According to Karl Lyimo (The Citizen, 7 Feb) the status quo, wherein the Muslims monopolised the meat trade, was generally accepted until recently when Islamic intolerance made it unacceptable. "In the history of this country from the colonial days and up to a few months ago, how and by whom livestock was slaughtered had never been an earthshaking issue. Apparently, non-Muslims – including especially Christians – didn't really mind one way or another. "That was until May last year when a pastor was detained by the authorities in Singida, central Tanzania, for 'following Christianity rituals and norms including those on meals'. This was at a funeral of one follower of the Pentecostal Evangelistic Fellowship of Africa (PEFA) at Kalakala Village in Kiomboi District on May 6, 2012! "According to a Web-posting on May 16, 2012 by Daniel Mwankemwa, PEFA Pastor James Moses was accused of slaughtering animals for consumption at the funeral without following Muslim 'halal' rituals. In the event, he was arrested and remanded at the Nduguti Police Post following a formal complaint by 'Sheikh Hamza Thabit, a Muslim village leader'. "Enter 'Wassira & C'’ at centre stage a little more than six months later, seeking to 'impose' religions rituals on all Tanzanians regardless! Clearly, not only does this fly in the face of the country's free market economy and liberalised trade. It also cuts across the Constitution which proclaims freedoms and rights regarding religious preferences and practices." Lyimo concludes by warning that it is imperative that Tanzania remain secular. "Anything less than this," writes Lyimo, "and Tanzania will sooner than later be plunged into a 24-carat religious conflict. Mark my words!" After meeting with Muslim and Christian leaders in the Mwanza region on 16 February, Prime Minister Mizengo Pinda told reporters: "Traditionally Muslims have been [the ones who slaughtered animals] in this country, but we have this conflict and I have formed a committee of religious leaders to look for a permanent solution. Therefore, [while] the committee will be working hard to get a permanent solution, Muslims will continue to do this job for us all." AND THE STING IN THE TAIL . . . Writing from Dar es Salaam, Deodatus Balile (above) reports that Geita Acting Regional Police Commander Paul Kasabago has confirmed that three people have been arrested in connection to the events of 11 February. They are Pastor Isaya Rutta, who slaughtered animals on church grounds, and two members of Rutta's church. The three Christians will be charged with "breaking health laws, inciting the public and causing the death of [Pastor Mathayo Kachili]. "Police have not yet arrested anyone suspected of perpetrating the actual violence against [Kachili]." This case must be watched very closely. 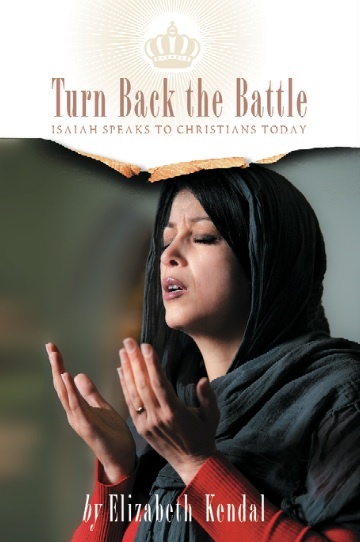 "Turn back the Battle: Isaiah Speaks to Christians Today"
Syria's descent into hell, and the West's bewildering complicity. Long one of the safest, most hospitable places for Christians in the Middle East, Syria is descending into "hell". Surely UN and Arab League envoy to Syria Lakhdar Brahimi was right when he said at the 29 Dec 2012 talks in Moscow -- talks the Syrian opposition refused to attend -- "If the only alternative is hell or a political process, then all of us have to work continuously toward the political process". Brahimi warned that, without a political process, the situation in Syria could become similar to that in Somalia. Hijacked by the Muslim Brotherhood and Salafis, the "Arab Spring" has morphed into a Sunni Ascendency in which intolerant, totalitarian, fundamentalist Islam is rising to subjugate, if not eliminate, all moderate, secular and pluralist elements. Sunnis rejoicing at the prospect of restored hegemony are naive if they think that the Islamic terrorist elements they are leaning on will either moderate or retire once Sunni hegemony is restored. For these elements are not interested so much in Sunni hegemony as in the establishment of a talibanised Caliphate -- so they will continue fighting, eliminating all resistance, until they either achieve their goal or die trying. Fides New Agency reports that kidnappings for ransom and intimidation are becoming endemic, especially in the ethnically and religiously mixed Kurdish and Assyrian/Syriac-dominated north-east province of Al-Hasakah [MAP] which is adjacent to Kurdish-dominated eastern Turkey and the Assyrian-homeland of Ninewa/Nineveh, northern Iraq. Fides reports (4 Feb): "In recent weeks, in the city of Hassaké [Al-Hasakah, about 220km due west of Mosul, Iraq (Syria MAP)], there were fifty kidnappings, and almost half against Christians. 'Many of them are doctors, lawyers and professionals', stresses Mgr. Hindo [Archbishop Jacques Behnan Hindo, titular of the Syrian Catholic archeparchy of Hassaké-Nisibis], 'but now the poor are beginning to be kidnapped'." A Protestant pastor writes from Aleppo: "The people of Aleppo are living without fuel for heating homes, no gas for cooking, no water, no electricity, no medicines, no doctors, no bread, and the prices of the daily necessities are five times more." He tells of people begging for heating fuel, crying for bread and medicines and trying in vain to sell their possessions in order to buy basic necessities. He reports that extreme stress is leaving new mothers unable to produce milk for their babies, while families that have become homeless are literally starving and freezing. No longer moved by bombs and bullets, their only thought is of acquiring food. "Our Shelter and Refuge is our LORD (Psalm 91)," he writes. "HE is keeping us . . . HE is our HOPE." He says that while most church activities are "frozen", he "thanks God that every Sunday morning, 75 - 85 people are coming to church for Worship Service," risking their lives to walk there, just so they can pray together "for the Prince of Peace to change people's hearts and minds, in order for the human being to live peacefully with God and with each other". George Shalhoub (63) is the founder and pastor of St. Mary Antiochian Orthodox Church in Livonia, a western suburb of Detroit, Michigan, USA. He grew up in the Christian quarter of Hama, Syria, and recently told the Detroit Free Press that it was "an idyllic life". He notes that while the Christians were surrounded by Muslims, they were safe. "We played in their mosques, and they played in the courtyard of our church. We were safe. We visited each other, and were part of each other's lives. I never once felt discriminated against by the Muslims. It was the happiest time of my life." Today, however, there is only sectarian strife and bloodshed. Rev. Joseph Antypasc (65), pastor at St. George Antiochian Orthodox Church in Troy, about 30 km north of Detroit, told the Detroit Free Press that before the uprising, Syria was "extremely secular. . . You had equal opportunity, rights for women . . . separation of church and state." Today however, Islamic jihadists are destroying churches and driving Christians out through intimidation -- including death threats -- and forced Islamisation. Antypasc's testimony confirms reports from other sources of Islamists setting up Emirs (Muslim rulers) and enacting Sharia law in areas they control. "Our country (the U.S.) is fighting against al-Qaida in Afghanistan and Pakistan, but in Syria, we're supporting them," Antipasc observes. "That's bewildering to me." Through its 2003 invasion of and subsequent litany of strategic policy failings in Iraq, the West unintentionally yet totally predicably facilitated the Shi'ite ascendency. Today the West is backing the Sunni Ascendency, naively believing it can make an ally of the Muslim Brotherhood and help the "good" jihadists achieve victory before sending the minority "bad" jihadists home. This is exactly what the Tuareg-nationalists fighting for independence in northern Mali thought when they -- supposedly committed secularists -- allied with al-Qaeda in the Islamic Maghreb (AQIM) against the Malian State. The Islamists had their own agenda which did not involve establishing a secular democracy! See: MALI: Islamists oust Tuareg-nationalist MNLA -- making the reality official. Gaddafi perceived what the West did not. Libyan dictator Muammar Gaddafi was a committed anti-Islamist, frequently railing against "the bearded ones" as he called them. After the 11 Sept 2001 terror attacks in New York and Washington, Gaddafi became an ally in the War on Terror, keeping al-Qaeda in the Islamic Maghreb (AQIM) hemmed in and hamstrung for years. In mid-late 2011, as his regime teetered on the brink of collapse, Gaddafi warned that should his regime fall, then jihadists would subjugate northern Africa. Gaddafi had been waving this red flag for decades! In May 1989, the West's eyes were firmly fixed on Europe and the USSR as Gorbachev's policies of glasnost (openness) and perestroika (re-structuring) brought light, energy and hope to peoples long repressed. Further east, however, Gaddafi, an Arab socialist, was more concerned about the rise of militant fundamentalist Islam, a trend that seemed to be off the radar of most Western intelligence. "In late May , twenty-one Arab monarchs and other heads of state, as well as dozens of senior officials and staff, gathered in Baghdad for an all-Arab summit. . .
"Qadhafi delivered an alarming and perceptive speech. Time was running out for the Arab world, he proclaimed. The Arab political system was on the verge of collapse because of the popular groundswell of Islamist radicalism. Furthermore, the new wave of radicalism was all-Islamic and thus undercut the region's Arab identity. 'We must all, virtually today,' Qadhafi warned, 'establish a joint alliance to stand strong and steadfast against the radical-extremist Islamic groups that are seeking to take over the entire Middle East. They multiply with the speed of lightening. We are likely to wake up one morning to face the masses raises slogans to the effect that "Islam is the solution to all our economic and social woes" and demanding that we, the present rulers, vacate the arena'." As it turned out, the Arab leaders were not interested, believing they could exploit the militant Islamists for their own ends. As Bodansky explains, Islamist "networks were indispensible to launching terrorist operations at the heart of the West". Saddam Hussein recommended promoting an all-Arab, as distinct from Islamist, jihad -- a jihad the Arab dictators would facilitate rather than succumb to (pages 30-31). Pity no-one had listened to Gaddafi. The motto of this story is: the enemy of my enemy is NOT necessarily my friend! Pandering to Islamic jihadists has never helped anyone -- except Islamists! We watch the news and think that Islam is strong -- but it isn't; Islam is weak! In all its battles, Islam has been and is the weaker force in an asymmetric conflict. Islam holds on to its adherents through threat of death and tolerates no dissent while relying on terrorism and propaganda, the weapons of the weak. Islam advances because the West arms it, funds it, blows in its sails and even fights it battles for it! The legacy of this policy will likely be the decimation, if not genocide, of the indigenous Christian communities in Iraq, Syria and possibly the wider Middle East (as well as Sudan, which is only a slightly different case); as well as the establishment of al-Qaeda bases in northern Mali and possibly Upper Mesopotamia; and maybe even the Islamisation of International human rights -- including the global criminalisation of criticism of Islam. To say this is bewildering is an understatement! In December 2012, the US recognised the Syrian National Coalition (SNC) while proscribing al-Qaeda in Iraq's al-Nusrah Front as a terrorist organisation. The SNC denounced this, maintaining that al-Nusrah Front is an ally, a label 29 Syrian opposition groups rose to support. Now Turkey (a US-ally) is using al-Nusrah as a proxy to fight the Kurds (another US ally). A Kurdish resident of Ras al-Ain, a city about 80 km north-east of Al-Hasakah, on the Turkish border, reports that on Thursday 17 January, jihadists entered the city after crossing the Turkish border with three tanks. The al-Nusrah Front has banded with nine other jihadist groups in the Syrian province of Deir al Zour and formed a Mujahideen Shura Council, the aim of which is to integrate jihadist groups under a central command. On 21 January 2013, Stratfor Intelligence reported that eleven Syrian opposition groups had declared the formation of the "Unified Syrian Islamic Front". While the al-Nusrah Front has refused to join, the groups will coordinate in the field. Furthermore, "The two sides will establish a joint Sharia court that is called 'Sharia Society Court in the City of Aleppo'." So the US and NATO assure us that they are only supporting the "good" jihadists, while the "good" jihadists openly and unashamedly confirm that they are allied to the "bad" jihadists. In reality, we are all in bed together! Indeed, everyone should be not just bewildered but totally incensed! The West supports regime change in Syria in the hope that by taking a massive bite out of the strategic Shi'ite Crescent -- which stretches from Iran through Iraq, Syria and Lebanon via Hezballah to the northern border of Israel -- it might isolate and hurt arch-nemesis Iran. However, there is no guarantee that Iran would be isolated. Egypt and Iran -- which lauds the Arabs for their "Islamic Awakening" -- are looking to pull off a diplomatic coup in Cairo this week and normalise ties after 34 years of hostility. It makes you wonder, what could the almost bankrupt Morsi offer Ahmadinejad that would be enough to make him withdraw support for Al-Assad? What could bring these leaders into alliance? Could it be their common hatreds and their common "revolutionary" goals: including the total Islamisation of a Middle East emptied of Jews and "Crusaders"? If Morsi is not interested in what Ahmadinejad has to offer, maybe other Arabs will be. In 680 AD, the Arab Caliph in Damascus sent forces to Kufa (in southern Iraq), to put an end to the rebellious Shi'ites and their Persian allies. [Shi'ites believe a descendant of Muhammad should be Caliph, not an appointed "strongman".] The Battle of Karbala (in southern Iraq), in which Muhammad's grandson Hussein ibn Ali was killed, was decisive in establishing enmity in perpetuity between the Sunnis and the Shi'ites. Today the question must surely be: will this regional struggle between the Sunnis and the Shi'ites lead us "back to the future" -- to Karbala, to 680 AD? OR will Sunnis and Shi'ites, Arabs and Persians, find a way to avoid Karbala? And what might the cost of that be? 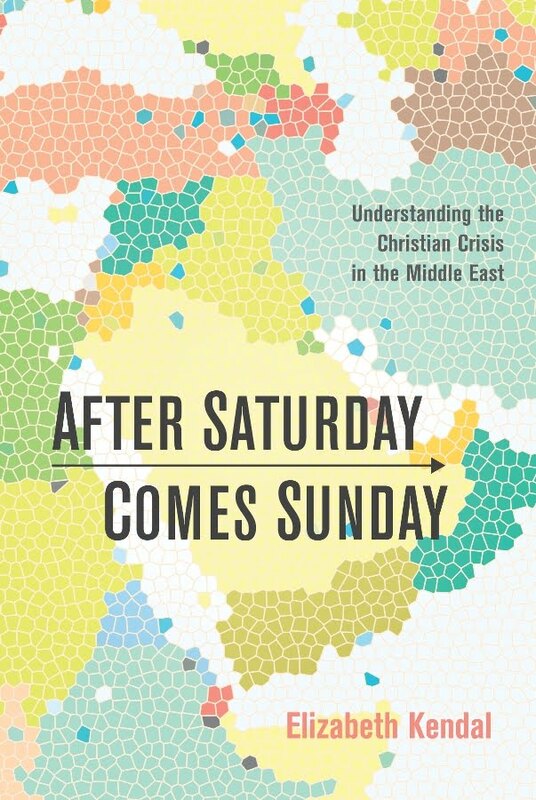 For Middle East's remnant Christians, the future looks very bleak indeed. But the Islamic advance won't end there, for Islam's ambitions are global. The West is feeding a fire that will refuse to be contained.